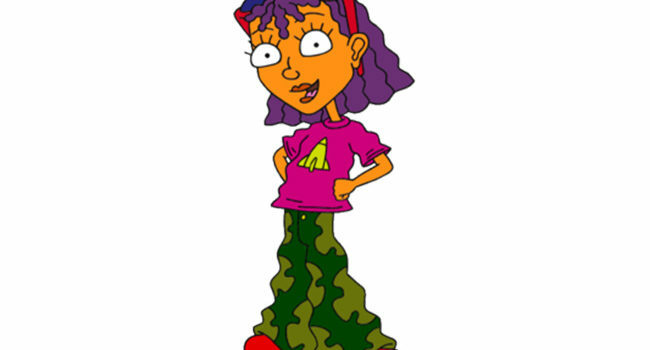 In Rocket Power, Reggie Rocket is a 12 year old tomboy who is the sister of Otto. In addition to the outfit shown here, Reggie likes to wear a yellow helmet and turquoise gloves when she rides her skateboard or rollerblades. Sid is one of Arnold’s classmates and best friends with Stinky and Harold. While not necessarily a bad kid, he is a bit of a troublemaker and has extreme paranoid tendencies. His pride and joy are his white winklepicker beatle boots. 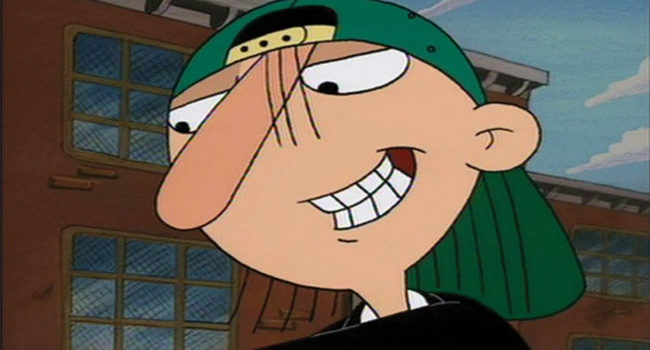 In Hey Arnold!, Stinky Peterson is one of Arnold’s classmates and a bit of a social pariah. Despite living in the city, he hails from a “country” family and his accent reflects this. Despite this, Stinky refuses to be a stereotype and is actually quite intelligent, while also maintaining a high level of personal integrity. Harold is the resident bully among his classmates in “Hey Arnold!” However, he is frequently shown to have a sensitive side and is even quite insecure. His best friends are Stinky and Sid, and the trio often cause trouble around P.S. 118 and rest of the city. Deborah “Debbie” Thornberry is the older sister of Eliza Thornberry, and daughter to Nigel and Marianne. Unlike her family, she has little excitement for the natural and wild world. Instead, Debbie wishes to live a normal suburban life, but is forced to travel the wilderness with her parents as they film nature documentaries. Skeeter, full name Mosquito Alumni Valentine, is Doug’s goofy and eccentric best friend. He is known for his blue skin tone and the honking noise he uses as a catchphrase for greeting people. Skeeter is a loyal friend who often offers Doug advice and helps him in his quest to woo Patti Mayonnaise. Stu Pickles is the wacky toy inventor father of “Rugrats” main protagonist Tommy Pickles. He is a loving and kind father, but like most of the parents in the Rugrats cast, including his wife Didi, he is oblivious and often outsmarted by the babies in the show. Born to negligent parents and cursed with an evil babysitter, miserable Timmy Turner is granted the guardianship of two fairy god parents, Cosmo Julie Cosma and Wanda Venus Fairywinkle-Cosma, who grant his every wish in Fairly Odd Parents. Roger is the arch-nemesis of Doug and the primary antagonist of the show. A stereotypical bully, he goes out of his way to taunt or harass Doug whenever possible. Roger was held back several times, making him significantly older than the rest of the show’s characters.